Join us at ZTAX! Apply here before 2/6/2018 Tuesday 11:59PM. Come and meet our members and learn more about who we are and our open positions! Please click here to register our first general meeting. We are honored to have a Blackstone financial analyst to join our coffee chat on September 15. She graduated from Boston College and was previously an audit senior in real estate asset management practice at PwC. Now she is at Blackstone specializing in Mezzanine debt fund. 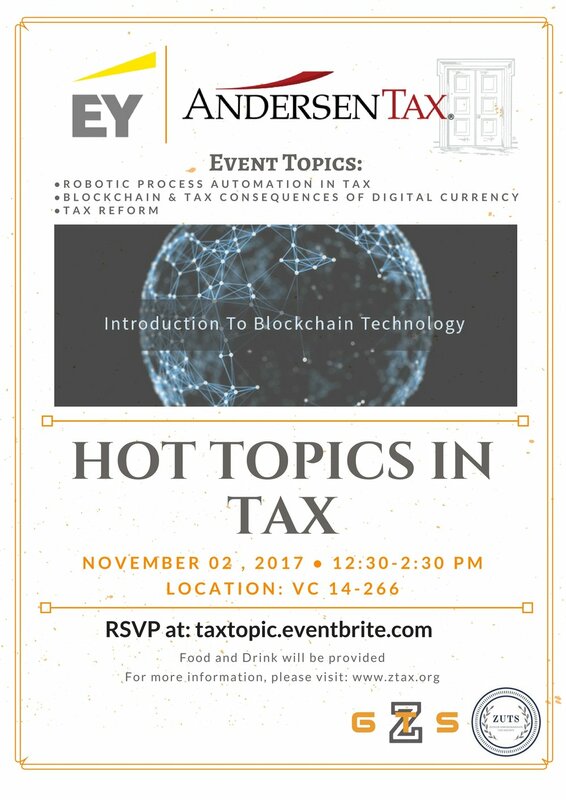 Areas of interest: Audit, Public Accounting, Financial Services, etc. We are honored to have a AVP of GCM Grosvenor to join our coffee chat on September 22. She graduated from Boston College and was previously a fund controller at J.P. Morgan Asset Management. She has also worked as a manager in Deloitte for more than six years. We are setting up coffee chat with professionals from public accounting firms, investment companies, technology companies, etc. This is a great opportunity for students to gain insights and build connections. This program will be hosted throughout the semester. 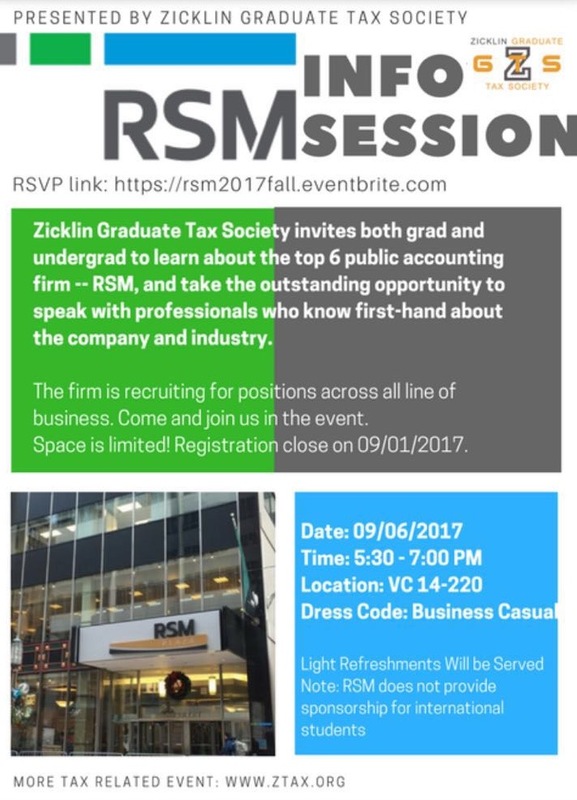 Registration links will be available at least one week before the day of the coffee chat and will be communicated via Baruch AscendNAAMBA and Zicklin Graduate Tax Society newsletters. Please sign up our email list to be included in the communication.